When a person is arrested for a DUI in Alabama, a chemical test is required to measure the alcohol content in the blood (BAC). The three chemical tests available are: blood, breath and urine. Urine testing refers to the chemical examination of the urine to detect drugs or alcohol. This test is generally only given as an option where a person is arrested of driving under the influence of drugs. Of the three DUI tests, urine tests can be one of the best options for a defendant. This is because the results are often questionable. Your DUI attorney can point out the weaknesses in a urine test as grounds for your defense, as this specific test does not determine the concentration of alcohol in a person’s system or whether or not the person was illegally impaired. So what happens if your attorney proves that the urine test should be discredited? Your Alabama DUI charge can be reduced to a reckless driving charge. If you have a reckless driving charge, you won’t have to face the harsh penalties associated with a Alabama DUI offense. Steep fines, jail time, community service and alcohol education classes will no longer loom over you! 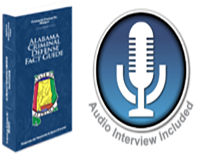 Speak with an experienced Alabama DUI attorney today to find out about your rights. If you submitted to a urine test and there are flaws, our firm will find out! If the test was administered improperly or if the wrong person gave the test, they can use that against the prosecution. Remember, just because you may have “failed” the urine test, that does not mean you will be found guilty of a DUI. With the right Alabama DUI lawyer your charge could be reduced or dropped altogether! Contact our firm today by submitting an online case evaluation form to get started.